Not many consumers know about Renfro Socks. They are the exclusive sock manufacturer behind many well known sock brands, including Dr. Scholls Socks, New Balance Socks, Hot Sox Socks, Carhartt Socks, and more. 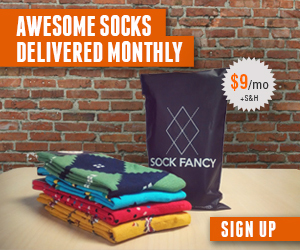 At Sock Clubs, we’ve focused on highlighting fun subscription sock clubs for both men and women. One of our favorite brands for fun patterned and colorful socks is Hot Sox. Hot Sox are fun socks for men and women. You can shop by silhouette, color, or activity type. Additionally, you can shop Hot Sox Bundles, which are curated by artists or for specific holidays. Although Hot Sox does not offer a sock of the month club, we believe that its one of the best online sock stores for making your sock drawer fun!